The chart below allows for a big picture view of the Trail by providing a one-page overview of all the resupply locations close to the Trail. Not every single town near the Trail has been included, only those directly on it or within a reasonable walking distance from the Trail. Hitchhiking in Florida is very difficult. While there are many towns that are only a few minutes’ drive from the Trail, they would take at least a half-day’s walk to reach and so have not been included here. The mileage matches that in The Florida Trail Guide by Friend & Keatley (2014), which is nearly identical to that in the latest FTA Databook. I strongly recommend you get Friend & Keatley's book and use it during your thru-hike. It contains town maps, phone numbers, and all other information you’ll need during your hike. 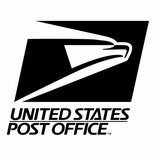 The US Postal Service allows you to mail packages to yourself care of local post offices, a service called General Delivery. The post office will typically hold the package for 30 days before sending it to its return address. Just arrive in person, show your picture ID, and receive your package. If you use Priority Mail flat-rate boxes, the only cost is postage. The medium-sized flat rate box (11" x 8-1/2" x 5-1/2") is the perfect size for 5-10 days of food for one person. Write on the box: "Please hold for Florida Trail thru-hiker"
In past decades, thru-hikers on the PCT and AT relied almost exclusively on maildrops. Months before their hikes, they carefully studied mileage charts, estimated hiking times, identified towns where they could mail a package containing food and other supplies, and then bought dry food in bulk and packed +20 boxes. After they left for the trail, a friend, parent, or spouse mailed the boxes at prescribed times. However, fewer and fewer thru-hikers are relying on this strategy and instead are buying groceries in towns along the trails. By our conservative estimation, you have to resupply 14 times during a 3-month FT thru-hike. If you are hiking alone and send 14 medium-sized, Priority Mail flat-rate boxes at $12.65 each, then the total cost will be $177.10. Couples will need to use the larger flat-rate box, at $17.90 each, which would be $250.60 total. Do you really save so much at Costco or Sam’s Club that the postage won’t add extra costs? Packages sent standard post are not cheaper. Standard post rates are based on weight and the number of “zones” between departure and destination, of which there are eight. Our resupply boxes typically weigh 10-15 pounds, which means that a package sent from our hometown in Florida to another city in Florida (i.e., through one zone) would cost between $12.45 and $16.70. If you are from elsewhere in the country and shipping packages from the northeast, midwest, or west coast, then costs increase substantially. If you do send maildrops, use Priority Mail flat rate boxes. 2) There is no need — unless you have special dietary restrictions. There is no sense in shipping macaroni & cheese across the country. However, if you have special dietary restrictions like Celiac disease, food allergies, or you are vegan, then you will have difficulty finding appropriate food in a few, but not all, trail towns. Publix and Winn-Dixie are regional supermarkets where people with dietary restrictions will have no problem finding appropriate food. IGA and Piggly Wiggly are regional mid-sized groceries with decent selections. On managing editor Mike’s first thru-hike on the AT, his resupply plan depended heavily on maildrops. Just a few weeks into the hike he became sick of most of the food in his boxes but had five more months of the same awful stuff. This has happened to every thru-hiker and you are not the exception. You will also experience bizarre, pregnancy-like cravings on the Trail. You will want to eat an entire jar of garlic pickles and wash them down with a half-gallon of chocolate milk. With so many grocery stores so close to the trail, you’ll give in to the cravings, so while you’re buying those pickles, why not resupply too? Despite your best efforts, meticulous research, and thoughtful planning, you are still not clairvoyant. You will inevitably pack boxes with too much or too little of something. (Do you really know your rate of toothpaste usage?) You will also likely be moving slower or faster than you predicted and thus need more or less food than you packed. Either you’ll be left without something or wastefully throw things away. While on the AT, managing editor Mike had a maildrop waiting for him at the post office in the next town. The PO wasn’t open on Sundays and only open for a few hours in the morning on Saturday. It was a Friday afternoon, and at the pace he was hiking, he would have reached town Saturday after the PO had closed and would have needed to wait till Monday morning to pick up the box. No problem, except that he was down to one dinner and one breakfast. He didn’t have enough food to wait until Monday. So instead of stopping to camp for the night, he pushed on into dusk over an exposed mountainside during a hailstorm and then climbed down a boulder field in the dark. Luckily he wasn’t hurt, but he could have been. Plan to not have plans. This is the key to success on any long-distance trek, but it may be a lesson that has to be experienced to be truly learned. You should of course do your research, study the maps and mileage figures, make estimates, and set goals. But once you are on the trail, be ready to abandon your plan if need be. Don’t hike all day through freezing rain just to adhere to the timetable you cooked up on your couch six months before. Take a zero and spend the day reading in your tent. Adjust. Adapt. Be flexible. If you want to go slower and hike a beautiful stretch between resupplies in 7 days instead of 5, a shop-as-you-go approach gives you that freedom. Same if you want to hike faster. A maildrop resupply strategy binds you to an artificial time table in a way that doesn’t allow for that flexibility. Having outlined above the problems with an all-maildrop method, there are however 3 locations where a maildrop is absolutely necessary because there is no grocery at all and 5 locations where a maildrop might be a good idea, because the only "grocery" is a Dollar General or other general store with very limited selection and high prices. These locations are outlined below. If you live on the west coast and will need to have someone mail boxes from there, we recommend that you do not. It is expensive to ship across the country (see above). Instead, pack and mail your resupply boxes when you first arrive in Florida or while on the Trail itself. On-Trail method: on a zero day when you are resupplying anyway, buy extra food, pack it, and then mail that box on ahead to your next resupply destination. It will get there a few days before you do. This eliminates the need to coordinate with someone back home. If you live on the east coast, shopping at Costco or Sam’s Club will save a tremendous amount of money. If you do not have a membership, ask a friend or family member with one to take you. They will have to pay at check-out and you pay them back afterward. River Ranch Resort has a small general store with limited supplies—not enough to make the 98 miles to Christmas. Near the general store is a small PO serving RV residents (the RV park is separate from the resort). Technically the PO is only open briefly each day, but packages are held in the Mustang Center office. Small convenience store is very limited—not enough to make the 75 miles to Paisley. There is no resupply option within Ocala National Forest, so you have to resupply in Paisley first. Ocala may take 5-8 days to traverse, depending on your pace and side trips to springs. A maildrop here eliminates the need to go off-trail into either Palatka, which is a hard hitch, or Starke, home to a state prison & lots of ex-cons who end up hang around the town after their release. Could skip this one. If you’re not picky, full resupply is possible at the Dollar General. Not getting help with maildrops? Mail yourself a box here from either Lake Butler or Palatka. Crucial maildrop—only resupply option for 157 miles. Not getting help with maildrops? Mail a box ahead from Bristol.